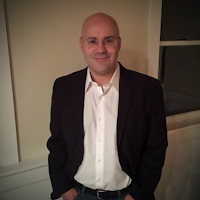 Elastic Sky Labs: All You Need is Pixie Dust! 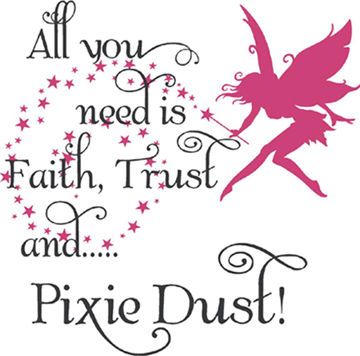 All You Need is Pixie Dust! You have decided to go with a public cloud provider and your company has moved your enrollment system out to a third-party vendor. Three years down the road the relationship sours because they have doubled their hosting charges and you terminate the contract. How do you move the data back? Is that spelled out clearly in the contract? Believe it or not, it can be extremely complex to move your data back in-house after you have decided to use a public SaaS or PaaS proprietary environment. Let's think of it in the terms of last decade's outsourcing. In 2001 the insurance company I worked for decided to outsource with IBM Global Services. They kept all the infrastructure on premise, but the operational support was provided by IBM. After a 5 year marriage they decided the love affair had gone stale and operational support was brought back in-house. The transition back wasn't easy from a personnel standpoint, less then a 1/4 of the original staff decided to return back to our organization which was a significant talent drain, but the infrastructure was in our data center which ensured no disruption of service to the business. Now that we have that in perspective. What happens when you deploy an application to a public SaaS or PaaS provider with proprietary infrastructure? There is a strong possibility that you will have to recreate your own system and all the development talent you had will be working for other companies. Even if you decide to go with IaaS in a hybrid cloud solution, it isn't a simple proposition to move everything back on a large scale. You are still bound by replication latency. When I hear executives talking about "bursting" to the cloud they make it sound like they have developed some pixie dust that will help magically transport their virtual machines to some external provider's data center. In reality it takes a significant amount of time and planning to move virtual machines between data centers. We have used vCloud Connector internally and it can take up to 45 minutes to move a virtual machine across a WAN link, not to mention it requires an outage. I think there are some great opportunities to use a public cloud provider, but you have to be smart about it. IT executives must move past the hype and deploy comprehensive plans for implementing a cloud strategy. It can't be run by one part of the organization or in a disjointed fashion; it requires executive sponsorship, business assessments, IT cross functional representation, and passionate people that think outside of the box and are willing to break traditional IT mindsets.